Publication - Ecological engineering applied to aquatic environments: for whom? For what benefits? 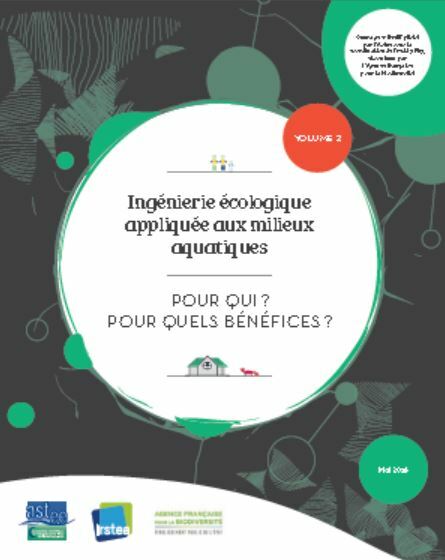 This collective book, led by Astee, supported by the French Biodiversity Agency, and to which IOWater contributed, is intended for decision-makers in water and aquatic environment management. Its objective is to highlight, for ecological engineering projects applied to aquatic environments, the benefits, as well as the associated beneficiaries, emphasizing the multi-benefit nature of these projects. Chapter 1 focuses on the benefits and beneficiaries in ecological engineering projects. After recalling the main principles of ecological engineering, he explained how a better identification of the "publics" (including Nature itself via ecosystem services) concerned by the possible benefits or harms of these projects, and the relationships between them and with the ecosystem, can constitute a lever for the development of ecological engineering. - the creation of habitats in port areas along the shallow coastal areas. It details how to address this issue of identifying project benefits and beneficiaries within these four main types of action. For each area addressed, a reflection is carried out on the main benefits (or even prejudices) inherent in the type of ecological engineering action, on the one hand, and on the other hand the other benefits that could be generated. It is presented through a typical example of action, followed by concrete illustrations of multi-benefit projects, presented in the form of feedback. In conclusion, the book provides perspectives on the assessment of ecological engineering projects and nature-based solutions.